Buchi Emecheta, one of the first Nigerian authors I ever read, has died at age 72. She wrote numerous books and plays, and an autobiography. She attended a Methodist girls high school, where she was made to ask God's forgiveness for wanting to be a writer. Then she married, and she had her first child when she was 17. She accompanied her husband to London (so that he could attend school there) and had four more children. 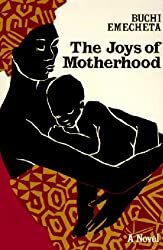 Her husband burned the manuscript of her first novel, which she re-wrote and had published as The Bride Price in 1976. After he burned her manuscript, although she was pregnant, she' felt the native, bush, independent woman in me come to the fore,' packed up herself and her young children, "and faced the streets." She then worked "odd jobs" and wrote in the morning before work. Eventually she studied sociology at the University of London. At some point, she founded a publishing house in Nigeria; I have no idea of its fate, though, given that Emcheta lived for most of her adult life in England. Her friend and publisher Margaret Busby paid tribute to her pioneering fiction, which explored sexual and racial politics in the Britain of the 1960s and 70s. “Given the odds she had to overcome, it was a triumph that she produced the powerful writing for which she will be remembered,” Busby said.